I bet, when you first wrote down whatever words it was that would turn into what we know today as Middle-earth, that you didn’t know you were changing the world. Not just fiction, but the world. There’s been a lot of controversy over your stories, especially with the movies they’ve made. For a long time, no one thought movies of Middle-earth were possible. The stories and world where too big, the ubiquitous they said. There’s no way it can be edited down to the length of a movie and still make sense, and there’s no way we can film those settings. Then they realized that if the story was good enough, if it stayed true enough to the original material, the length of the film wasn’t the problem. And so movies they became. There was controversy – there’s still controversy. But I, personally, am grateful. The adaptations aren’t perfect, but they never are. But if it hadn’t been for the hype about the movies, I don’t know if I ever would have gotten around to reading The Hobbit and The Lord of the Rings, or even The Silmarillion. And if I hadn’t read those stories, I would have never become who I am today. Because you see, when I read those stories, I realized that there might actually be people who wanted to read the types of stories I made up in my head. If I hadn’t read your books, Mr. Tolkien, I never would have hunted down a website called the Lord of the Rings Fanatics Plaza, where I found the courage to share stories for the first time, and learned to receive my first constructive criticism. 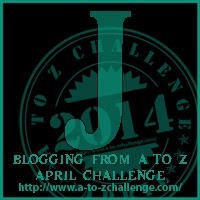 If I hadn’t joined The Plaza, I don’t know when or where I would have learned about National Novel Writing Month. And if I hadn’t found NaNoWriMo… I never would have met the other Ferrets. And that would have been a terrible, terrible tragedy. So, dear Mr. Tolkien, thank you. 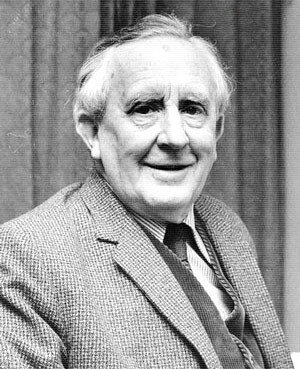 Thank you for creating Middle-earth. Because by creating Middle-earth, you gave me a place where I could not only escape some of the darkest times of my life, but you also brightened my life and actually made it more bearable. I can’t wait to stroll through Heaven with you one day, and talk about stories.